For more details on JSON Path, see http://code.google.com/p/jsonpath. Enter a suitable name that reflects the role of this filter in the policy. Enter the JSON Path expression used to add the node to the JSON document (for example, $.store). Policy Studio warns you if you enter an unsupported JSON Path expression. Note If this expression returns more than one node, the first node is used. If the expression returns no nodes, the filter returns false. 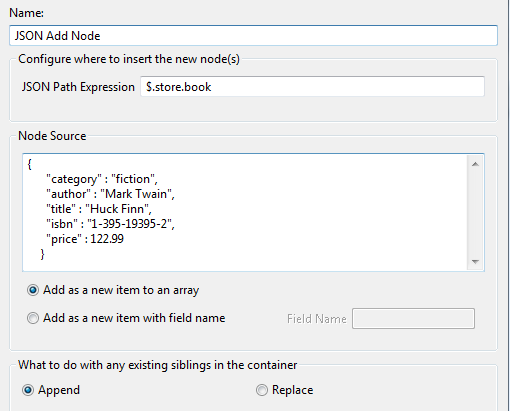 If you select this option, the new JSON node is added as an item in an array. 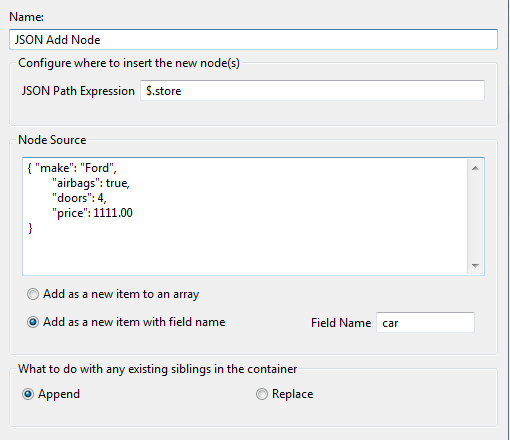 If you select this option, the new JSON node is added as a field specified in the Field Name field (for example, car). You can configure a JSON Remove Node filter to remove JSON nodes from the message and store them in the deleted.json.node.list message attribute. 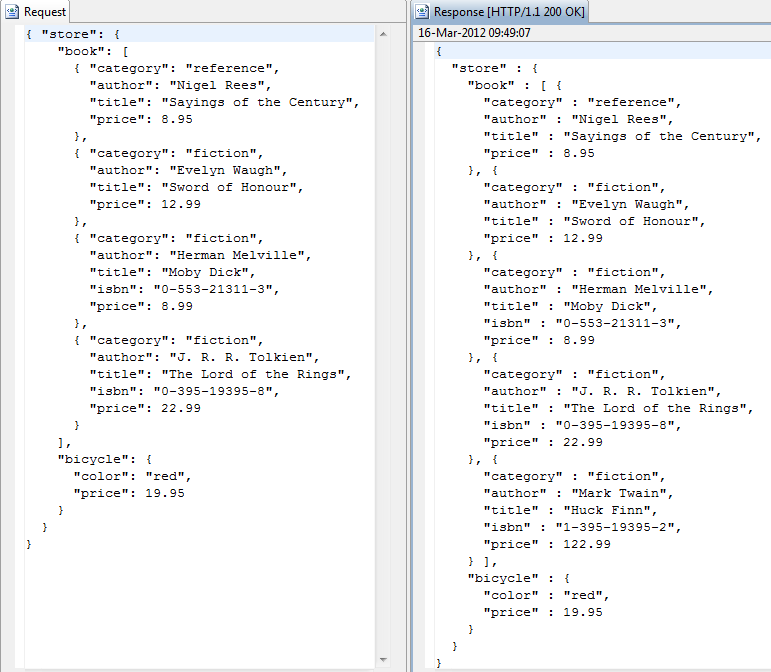 You can then use the JSON Add Node filter to reinsert these nodes in a different location in the message, effectively moving the deleted nodes in the message. 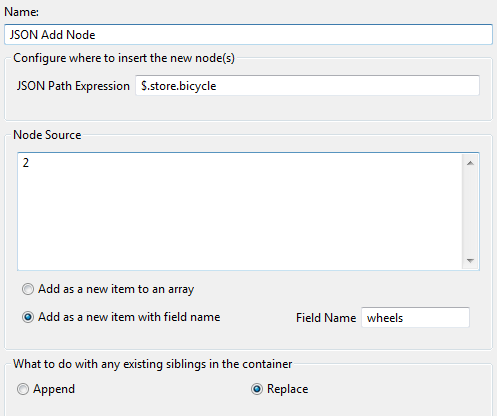 When selecting this option, you must also select Save deleted nodes to be reinserted to new location in the Remove JSON Node filter, which runs before the Add JSON Node filter in the policy. For more details, see Remove node from JSON document. The new node is appended as a child node of the node returned by the JSON Path expression. If there are already child nodes of the node returned by the JSON expression, the new node is added as the last child node. 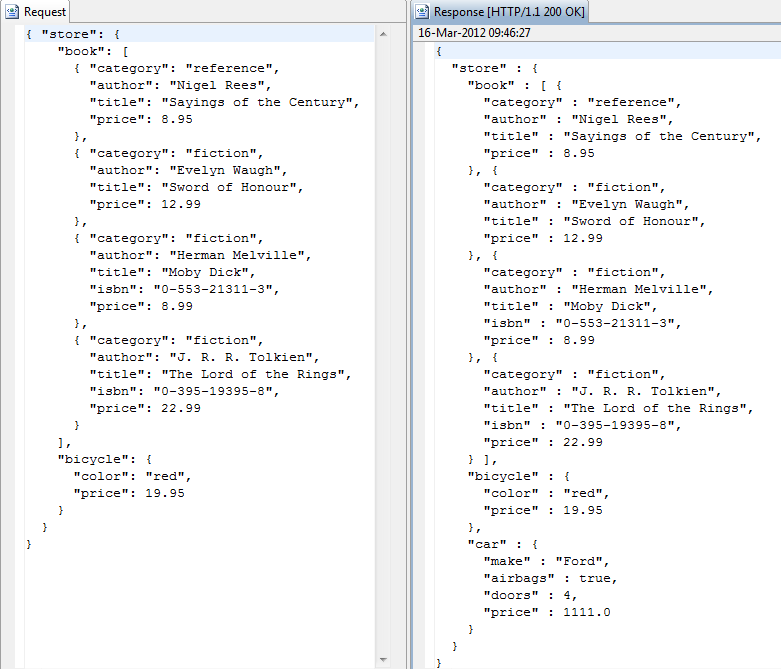 The node pointed to by the JSON expression is completely replaced by the new node. 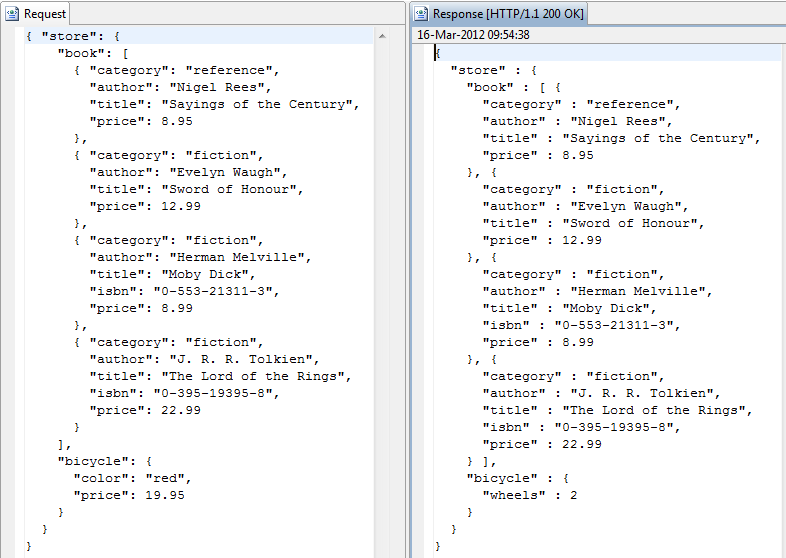 The following are some examples of using the JSON Add Node filter to add and replace JSON nodes.